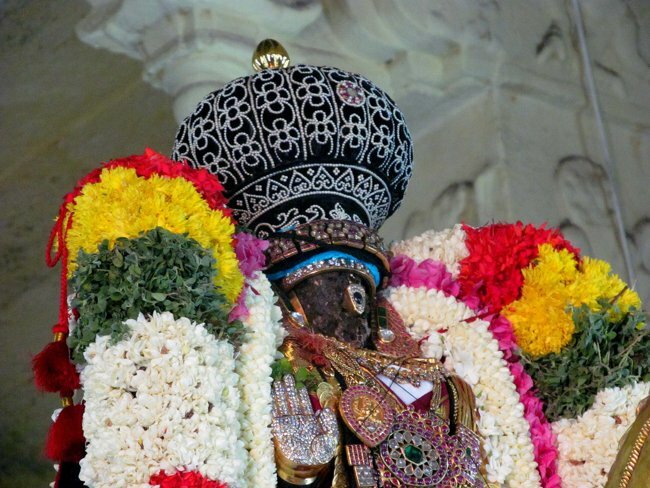 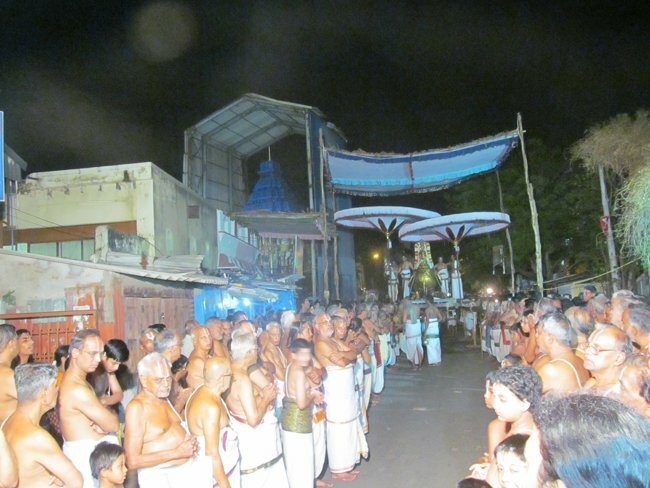 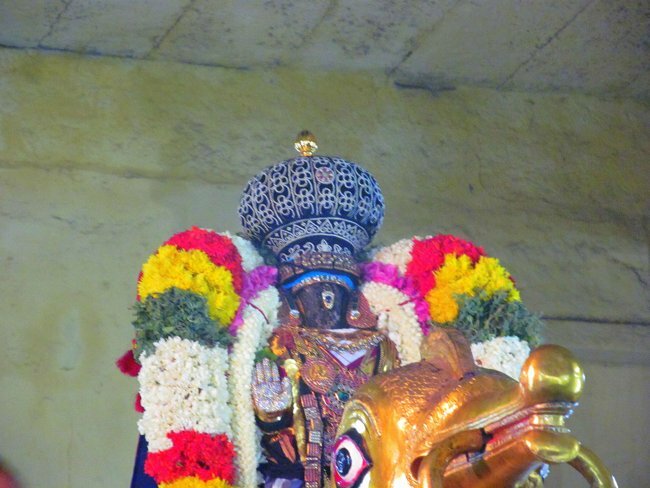 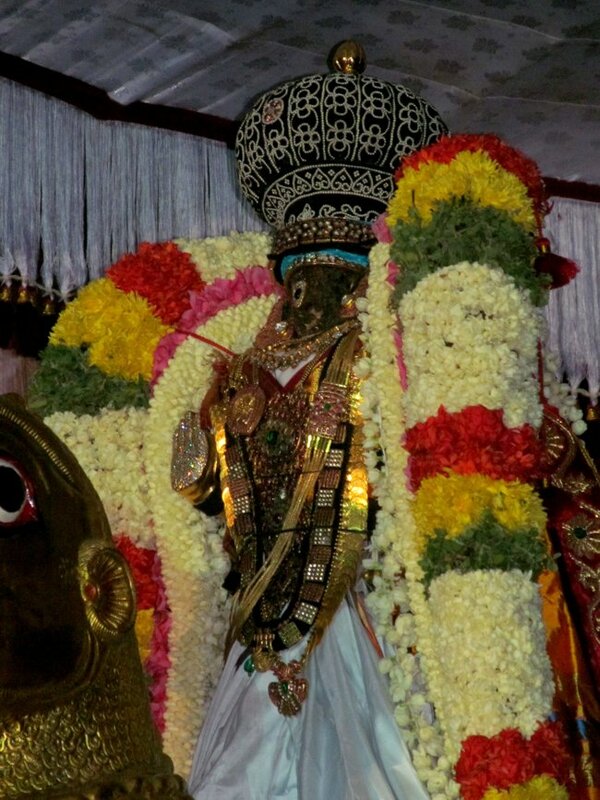 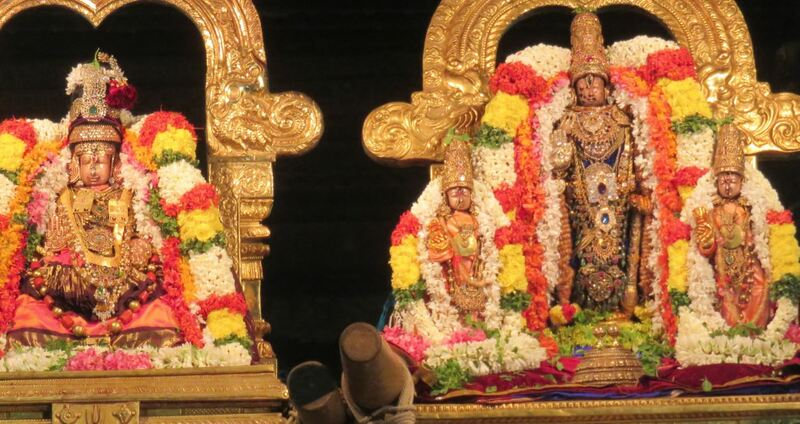 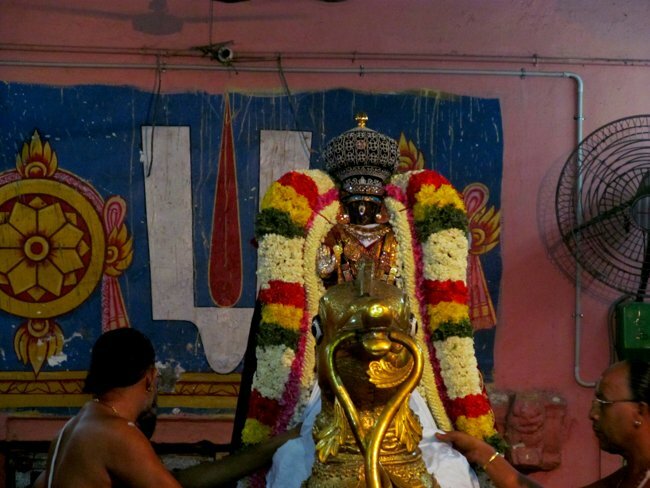 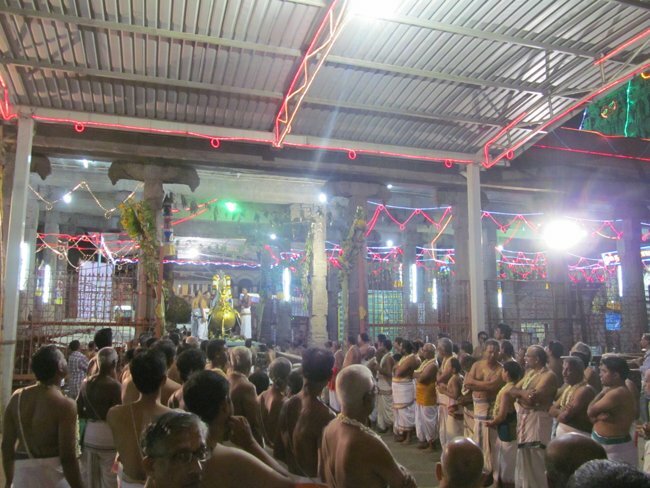 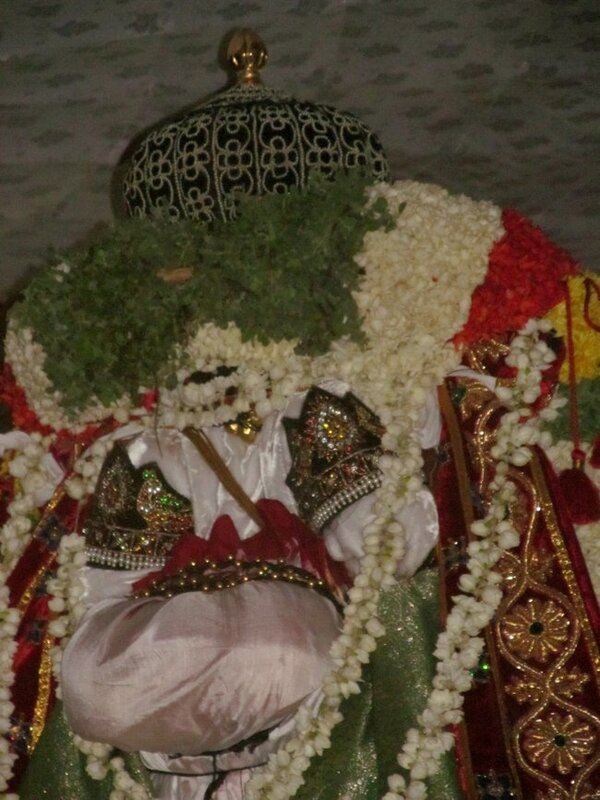 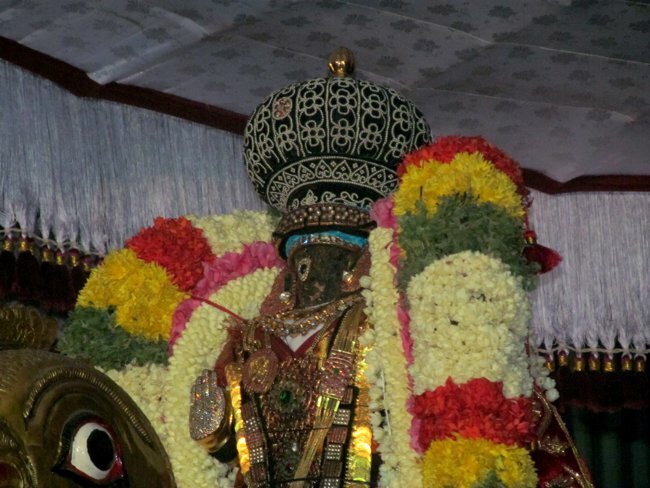 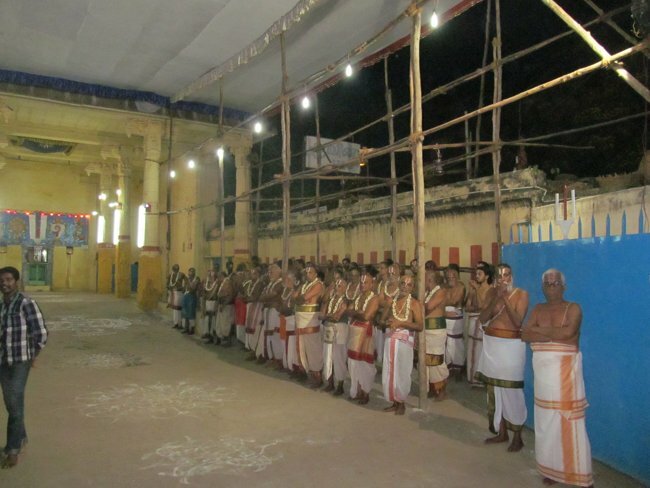 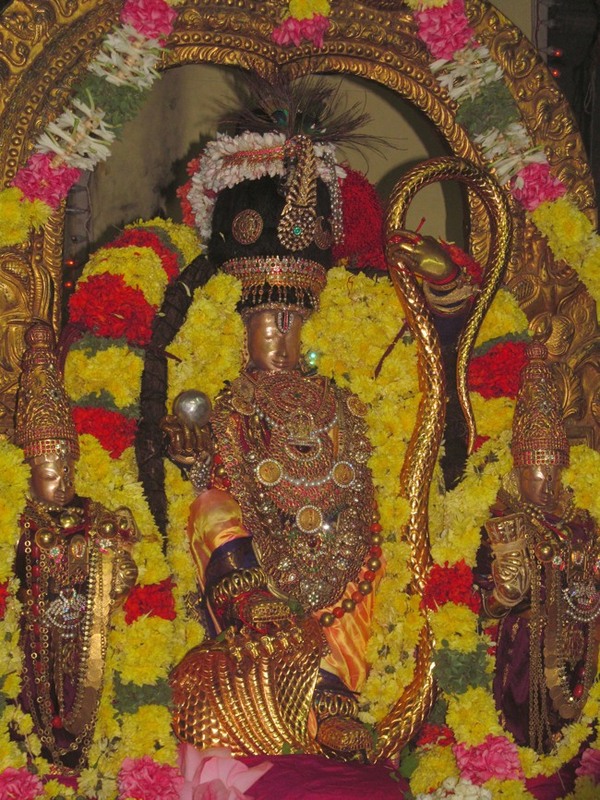 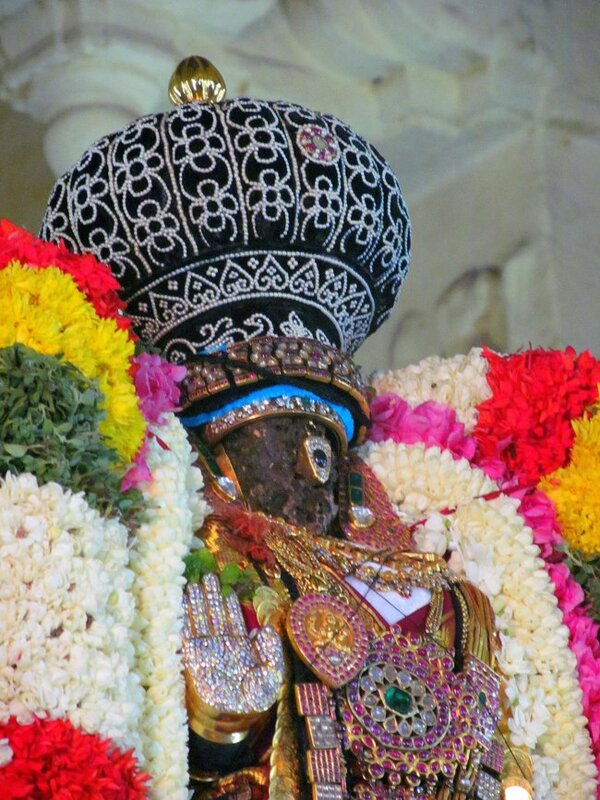 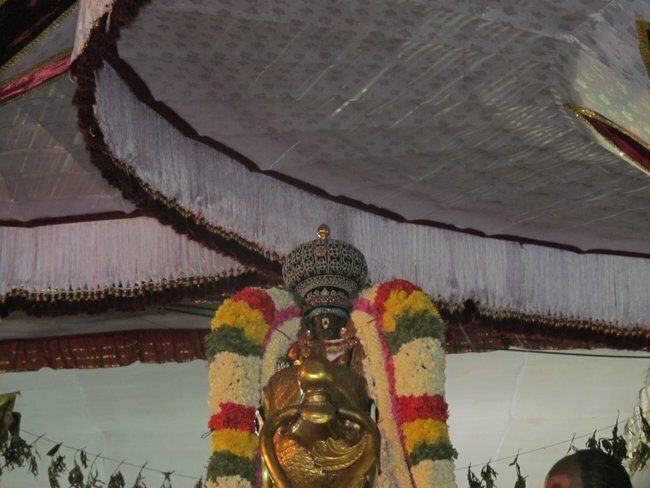 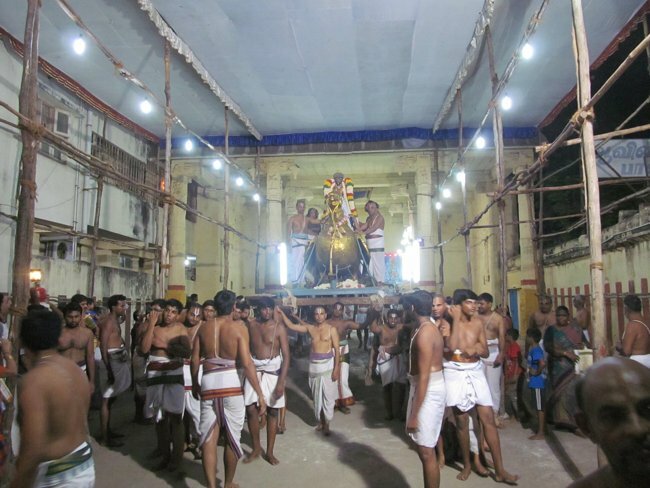 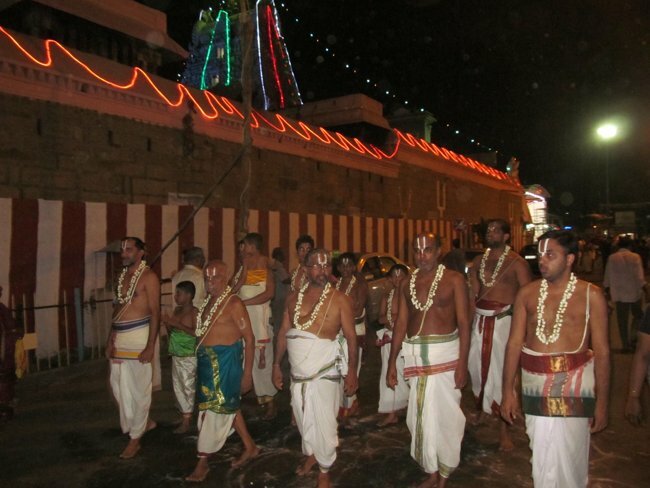 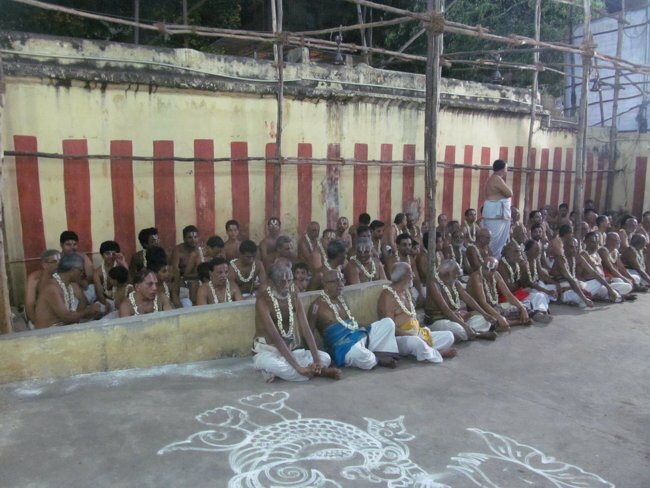 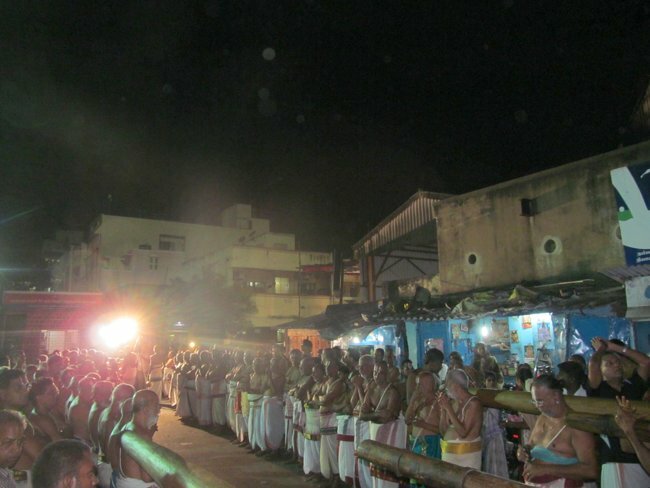 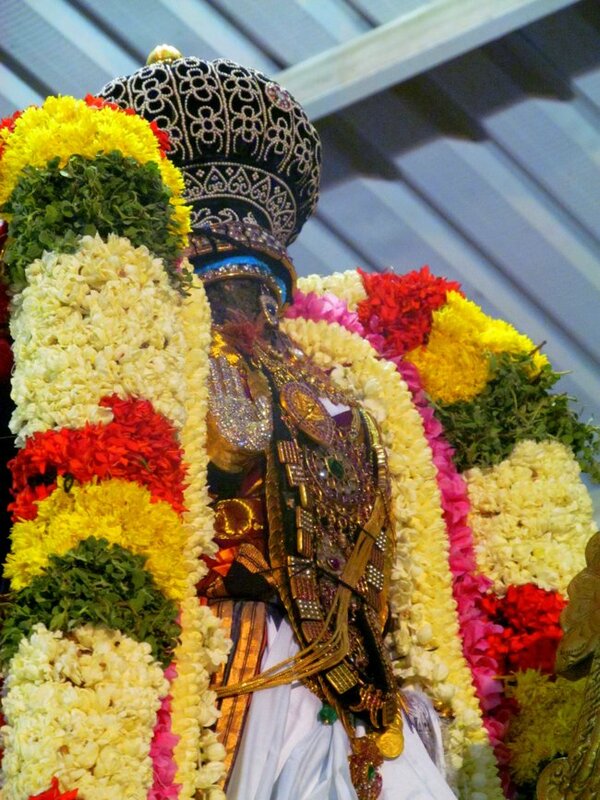 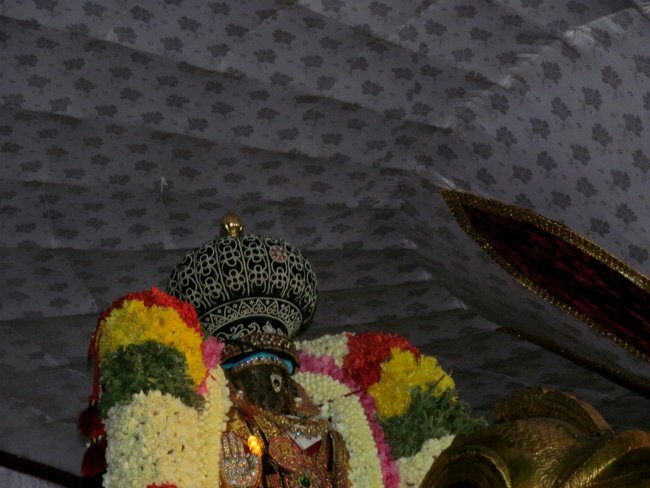 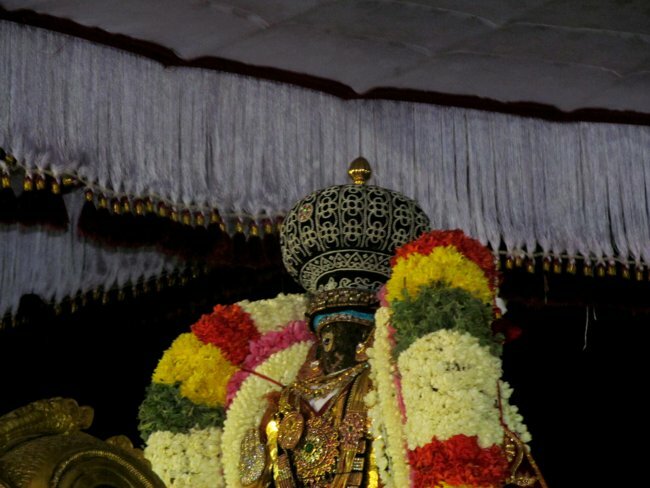 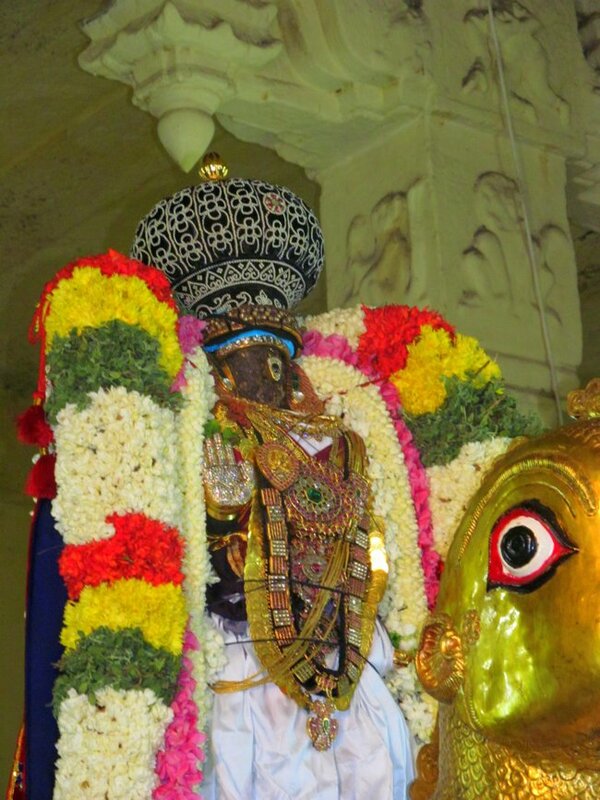 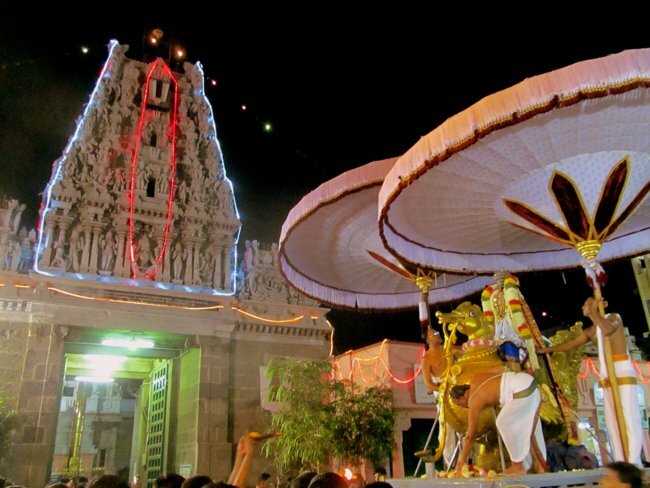 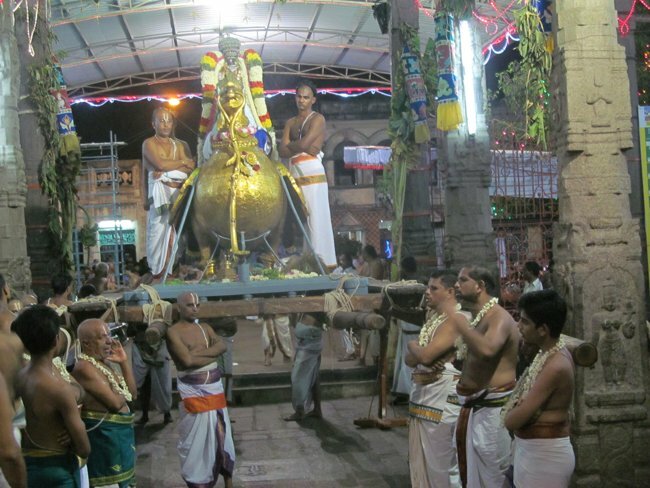 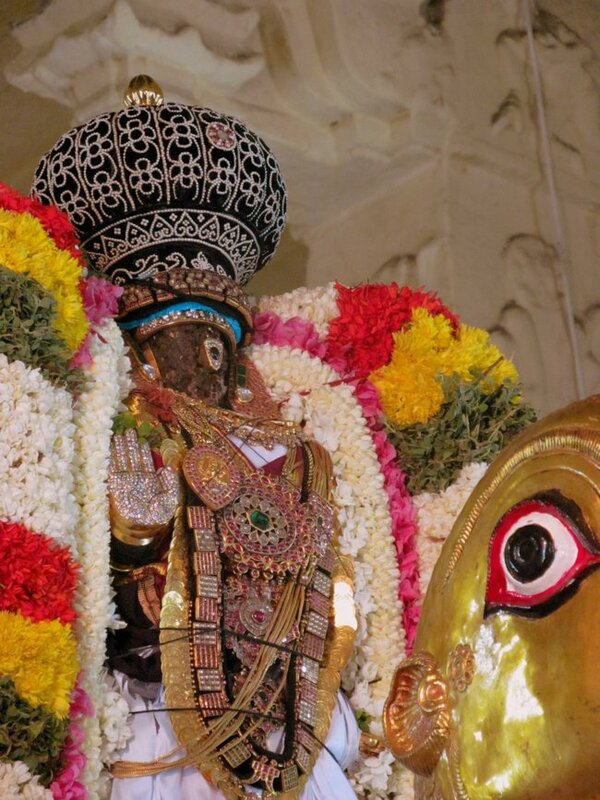 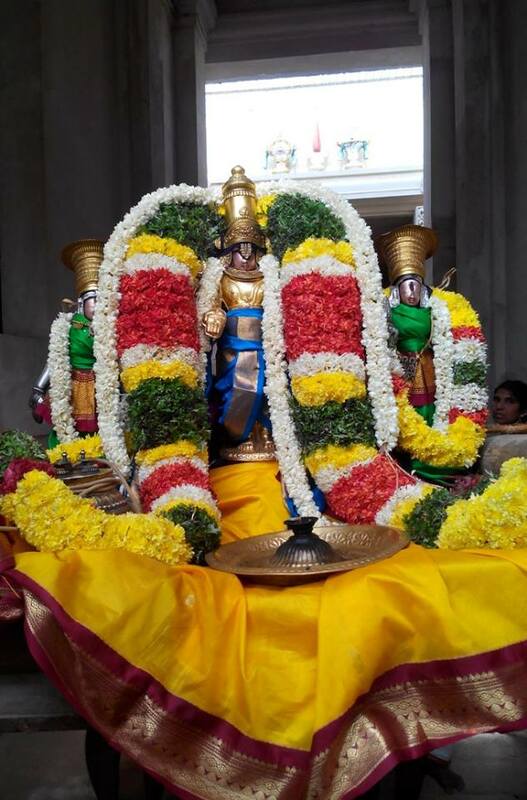 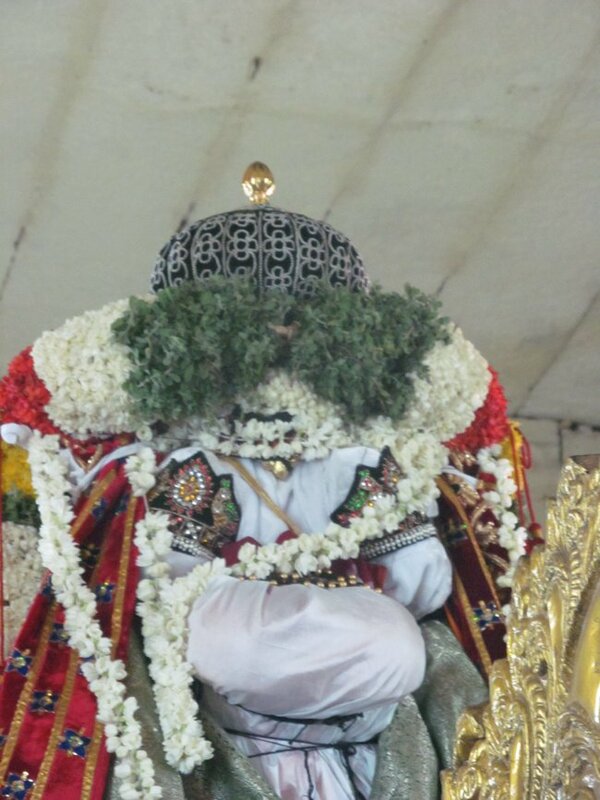 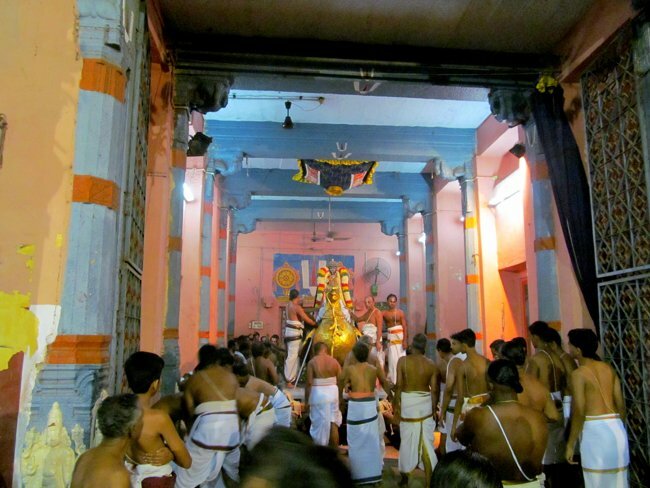 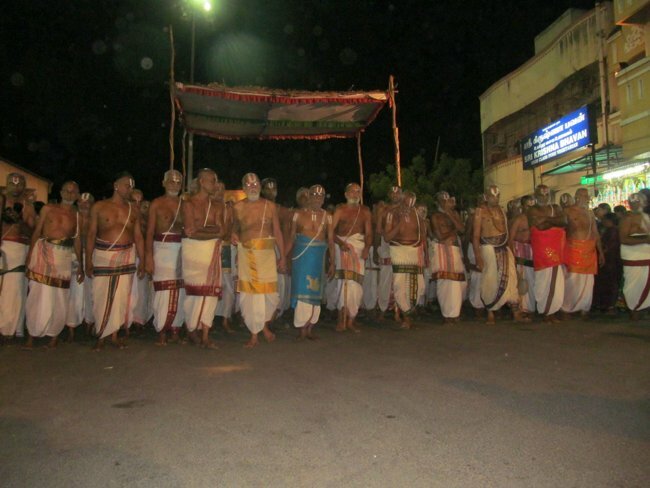 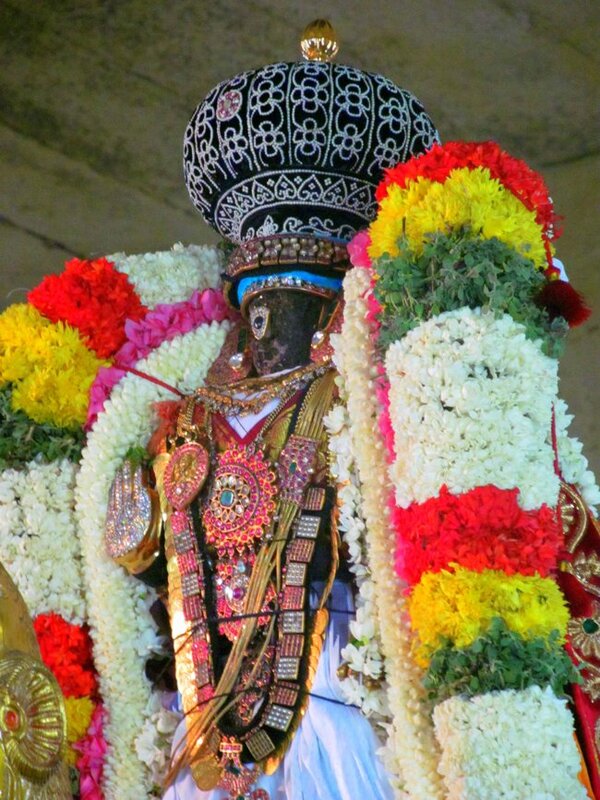 As part of the ongoing Brahmotsavam at Thiruvallikeni Sri Parthasarathy Perumal, Day 3 of the utsavam was celebrated on April 17, 2014; Jaya Varusha Chitra Visakam. 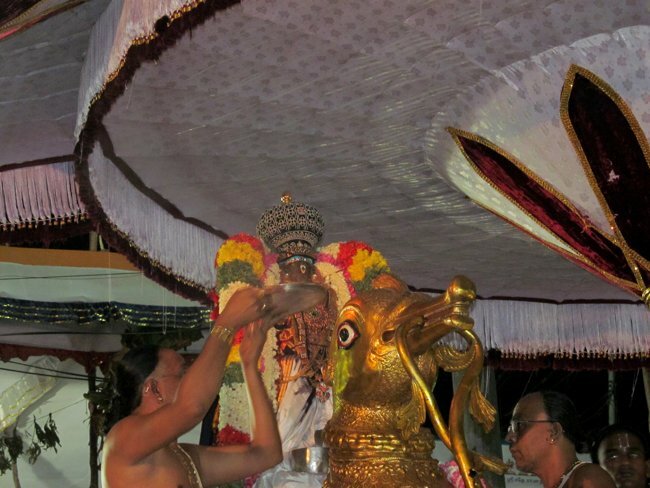 In the evening, Sri Parthasarathy Perumal had purappadu on Hamsa Vahanam. 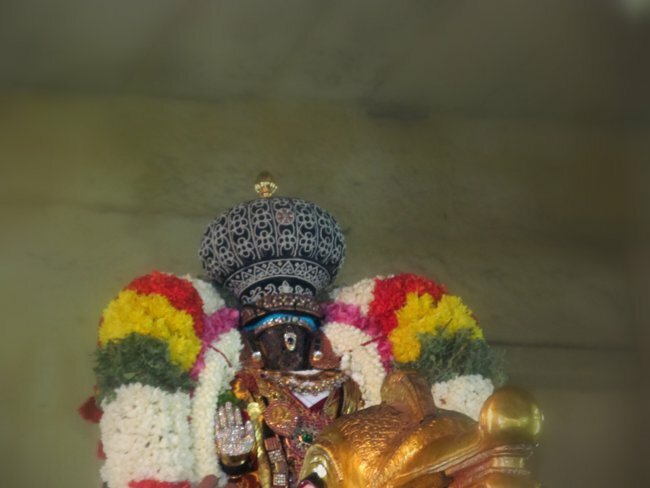 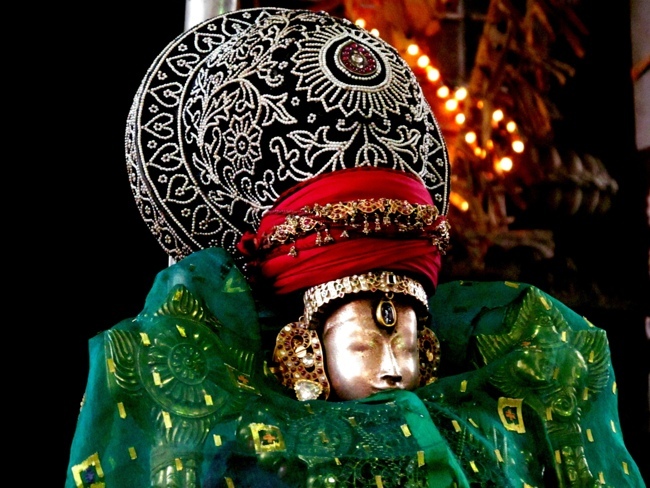 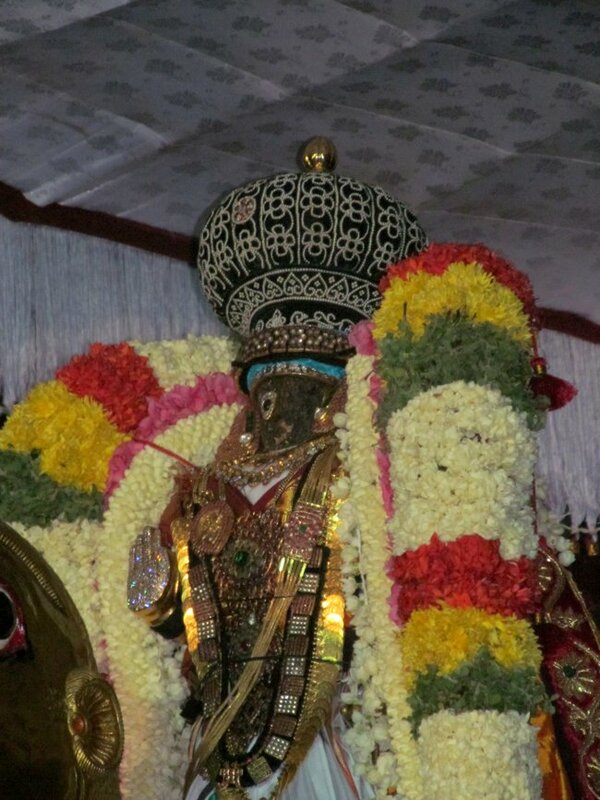 Perumal had beautiful alankaram in white Vasthram with his Thiruvabaranam. 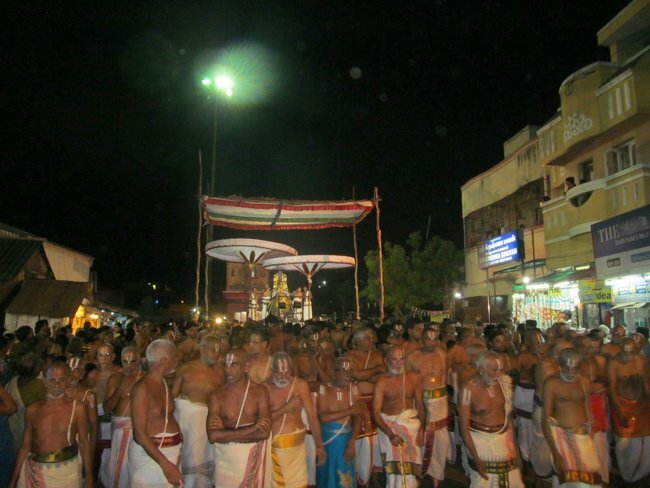 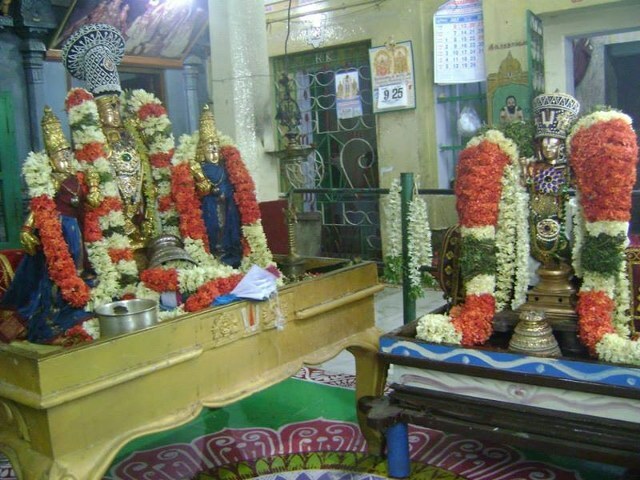 On Hamsam, Sri Parthasarathy proceeded along with a grand arulicheyal ghoshti and veda parayanam ghoshti in the thirumaada veedhis of Thiruvallikeni. 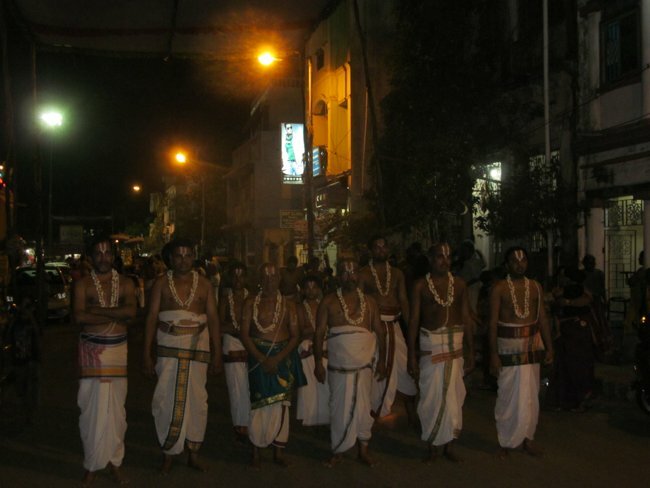 Several astikas participated in the utsavam and got HIS blessings. 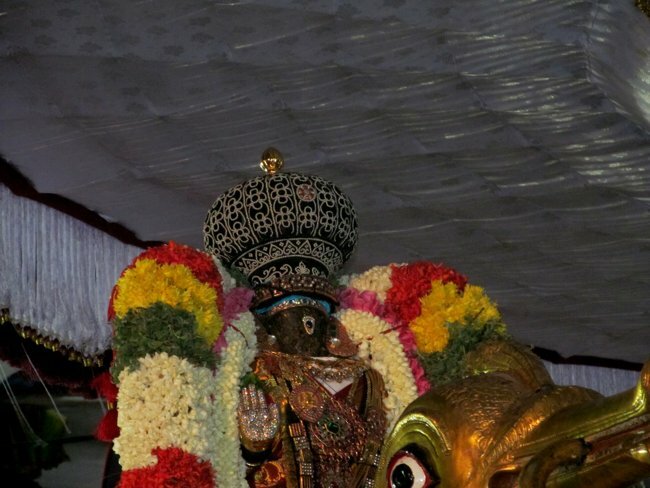 These are some the photos and video during the occasion….